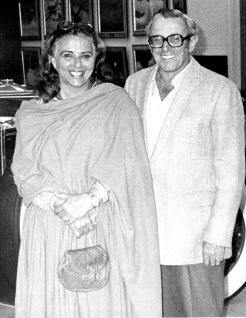 In 2002 Lisa Klausner, a great-granddaughter of Sam and Minnie Klausner, granddaughter of Benjamin and Dora Klausner and daughter of Bob and Penny Klausner, moved back to her parents home in Shaker Heights, Ohio. 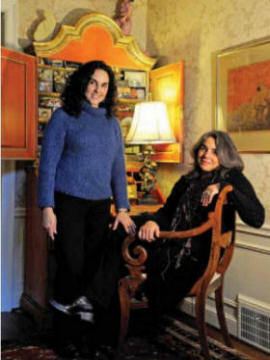 The February-March 2010 issue of Shaker Life included a story "The Old Family Home" that told of Lisa's experience and of three others who have moved back into their parents' homes. (We do not show the stories of the three other families.) To read this story on this site (it is no longer available on the Shaker Heights website), click here (pdf). Robert Frost wryly observed, "Home is the place where, when you have to go there, they have to take you in." The other side of the coin, of course, is what Dorothy believed: "There’s no place like home." 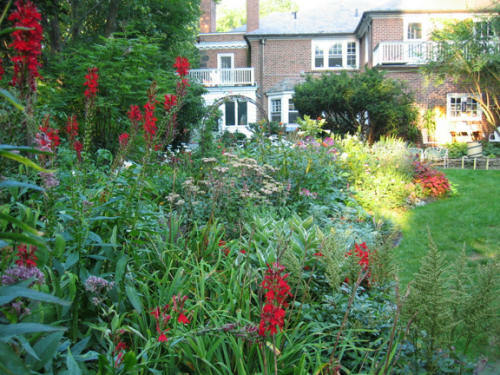 More specifically, for some Shaker residents, there’s no place like the old family home. Sometimes by chance, and sometimes by choice, they find themselves back where they started – living in the home of their youth. For some, the experience offers the opportunity to re-settle in Shaker Heights; some are drawn back by the chance to carry on family traditions. And for others, the home becomes the embodiment of a family legacy. Lisa Klausner initially thought of herself as someone who would never move back to Northeast Ohio. After college, she lived in Miami Beach and then New York City, where she worked as a photographer. Her work has appeared in the New York Times Magazine and is in the permanent collection at the Cleveland Museum of Art. In 1983, her father passed away, and in the 1990s, her mother’s health declined. She rates spending time with family as the best benefit of her decision. Lisa’s sister, Paula, lives in the Fernway neighborhood with her husband and two sons. Many cousins, aunts, and uncles live in the area as well. Living in the family home brought Lisa back in touch with her family’s roots, which she describes as “the prototypical immigrant story.” Her grandfather, Ben Klausner, immigrated to the Cleveland area from the Ukraine and worked alongside his father and brother selling barrels. In the 1920s, they formed Klausner Cooperage and began manufacturing their own barrels. Their hard work paid off, and in 1936 Lisa’s grandparents built the beautiful Onaway neighborhood home that was later passed on to Lisa’s parents. “My grandparents were very traditional people,” says Lisa, as evidenced by the classic brick Georgian home they designed, with a large Palladian window gracing the front. The task of sorting through the multitude of items left by her parents and grandparents has been difficult at times, but Lisa has managed to artfully combine family pieces with some of her own favorites to make the house more reflective of her style. 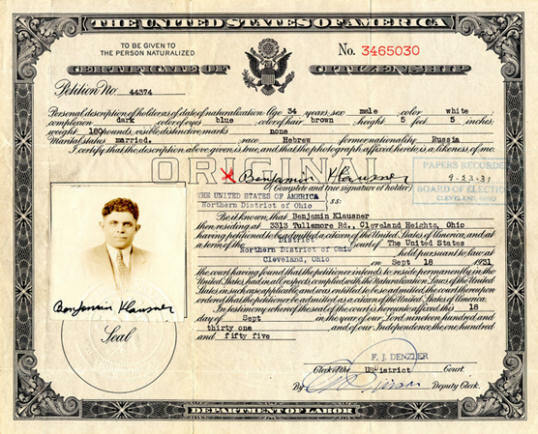 Her searches have also yielded priceless treasures, such as her grandfather’s citizenship certificate and her grandparents’ ketubah (a Jewish marriage contract), both of which she was able to preserve for posterity. She also discovered a goldmine of vintage fabrics in the attic, which she uses to create unique decorative pillows. “Not everything has to be treated as a museum piece,” she observes. 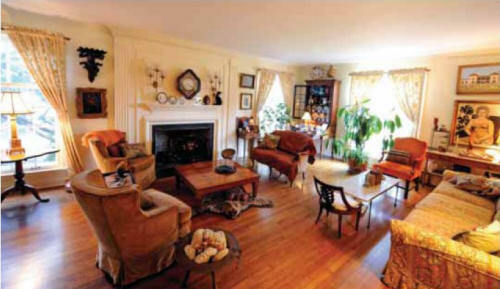 Lisa Klausner's light-filled living room in Onaway. Perhaps the biggest surprise for Lisa has been discovering a love for gardening. 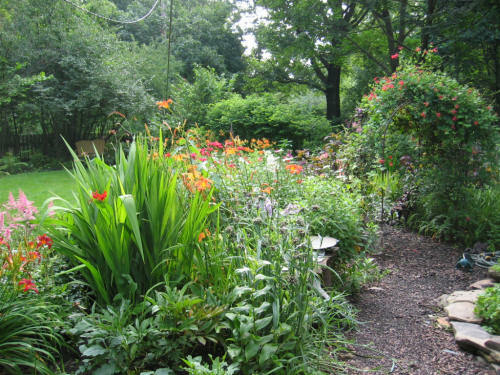 “Having lived in New York and Miami, I never owned a house before, let alone a garden,” she says. 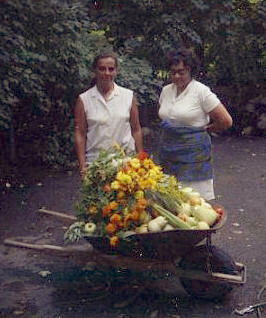 Lisa’s mother, an avid gardener, had been a big supporter of the North Union Farmer’s Market at Shaker Square. “She was a customer there from day one, and developed relationships with every vendor,” says Lisa, who also became an active supporter of the organization and served on their board of trustees for four years. Thanks to Lisa Klausner for sending the pictures below.